This streaming video course will walk you through an in depth explanation of the three different relationships for a Real Estate Broker which are, Agency, Transaction Broker and Customer; the advantages and disadvantages of representing both the buyer and sellers; and when a broker should be acting as agent transaction broker or treating someone as a customer. Topics include Three Types of Working Relationships, When A Broker Shouldn’t Be a Transaction Broker, and Reduction of Uniform Duties. Completing this class awards the student with ?? CE credit hours. Mr. Cox serves on multiple form and education committees for the Colorado Real Estate Commission, including the committee that created these changes. 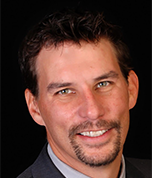 Damian is a leading authority on the Colorado approved contracts. In his legal practice he represents more than twenty real estate brokerages consisting of over 2,400 real estate brokers.